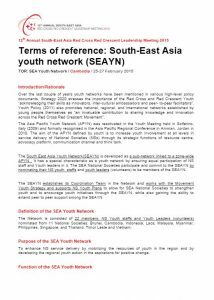 The Southeast Asia Youth Network (SEAYN) was developed as a sub-network linked to Asia Pacific Youth Network (APYN) in May 2013 (see SEAYN TOR). It has a special characteristic as a youth network by ensuring equal participation of NS staff and Youth leaders in it. 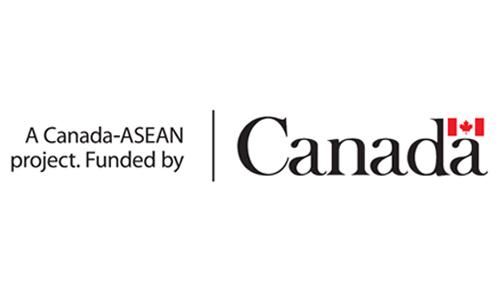 By nominating their NS youth staffs and youth leaders (volunteers) to be members of the SEAYN, each NSs in the SEA region follows the SEAYN terms of reference which was officially endorsed by the Southeast Asia Leadership Meeting held in Singapore in March 2014. The SEAYN aims for enhancing National Societies’ service delivery by mobilizing the resources of youth in the region and by developing the regional youth action in the aspirations for positive change. It nominates its Coordination Team in the Network and develops its action plans to allow for SEA National Societies to strengthen youth and to encourage youth initiatives through the SEAYN, while also building capacity to extend peer to peer support among the SEAYN. 1st annual meeting | August 2014 | Phnom Penh, Cambodia | with attendance of 5 National Societies | See Report. 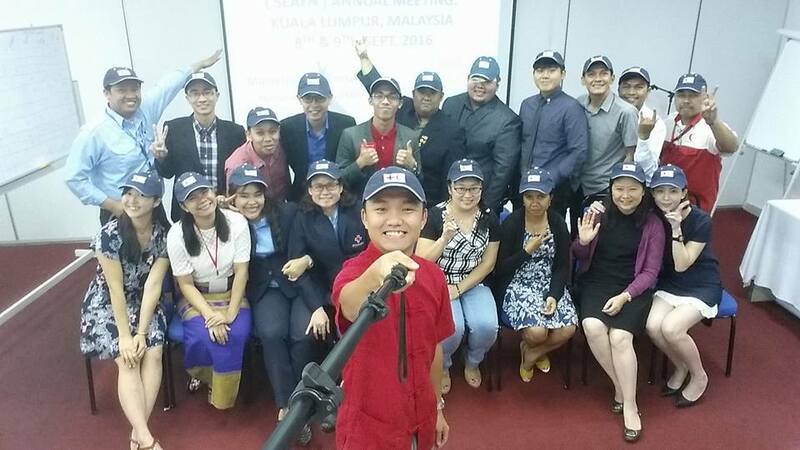 2nd annual meeting | December 2014 | Singapore | with the attendance of 11 National Societies youth leaders as a response to the Beijing Call for Innovation adopted in the Asia Pacific Regional Conference in Beijing, October 2014| See Report. 3rd annual meeting | August 2015 | Jakarta, Indonesia | hosted by the SEAYN Chair and Indonesia Red Cross Society (PMI) which was followed by the Regional Community Safety and Resilience Forum | See Report | Concept note | Outcome. The 18th SEAYN online meeting was held in July 21 with the attendance of 12 members from 9NSs and discussed following agenda 1) introduction of Translator Gator from UNV, 2) APYN Action plan 2017-2018, 3) SEAYN annual meeting framework, 4) NS updates such as Singapore Model International General Assembly (SMIGA) Forum, Solferino Global Forum. The SEAYN invited one guest speaker, Ms. Yulistina Riyadi, Research Associate at Pulse Lab Jakarta, a data innovation lab jointly established by the Government of Indonesia and UN. She introduced the Translator Gator, an online web-based crowdsourcing game that was launched in 11 countries including ASEAN. The minutes will follow soon. 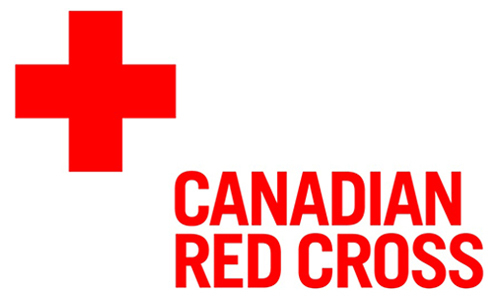 The invitation for the 5th SEAYN annual meeting to be held in Philippines in September 4-8 was sent to Philippines Red Cross for the co signing of the letters and will be sent to all 11 countries. The school safety mapping exercise continued and made all analysis and completed full draft for 11 countries and sent to each respective focal people for validation.